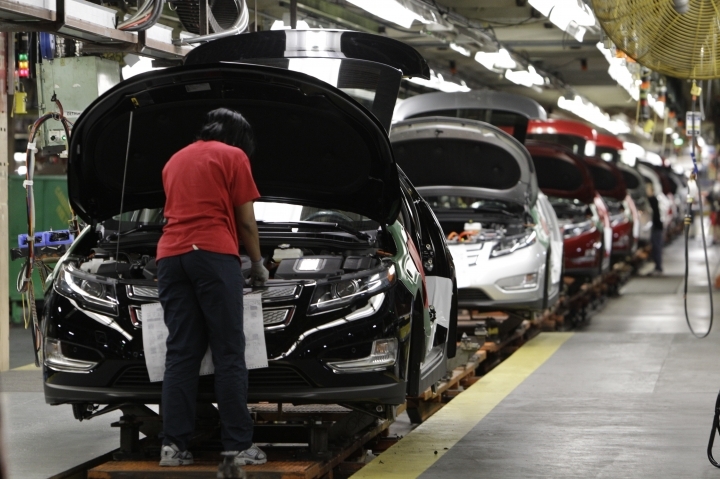 DETROIT — General Motors will cut up to 14,000 workers in North America and put five plants up for possible closure as it abandons many of its car models and restructures to focus more on autonomous and electric vehicles, the automaker announced Monday. GM is shedding cars largely because it doesn't make money on them, Citi analyst Itay Michaeli wrote in a note to investors. "We estimate sedans operate at a significant loss, hence the need for classic restructuring," he wrote. Hours after the announcement, President Donald Trump said his administration and lawmakers were exerting "a lot of pressure" on GM. He said he told the company that the U.S. has done a lot for GM and that if its cars aren't selling, the company needs to produce ones that will. At a rally near GM's Lordstown, Ohio, plant last summer, Trump told people not to sell their homes because the jobs are "all coming back." The planned reduction includes about 8,000 white-collar employees, or 15 percent of GM's North American white-collar workforce. Some will take buyouts while others will be laid off. 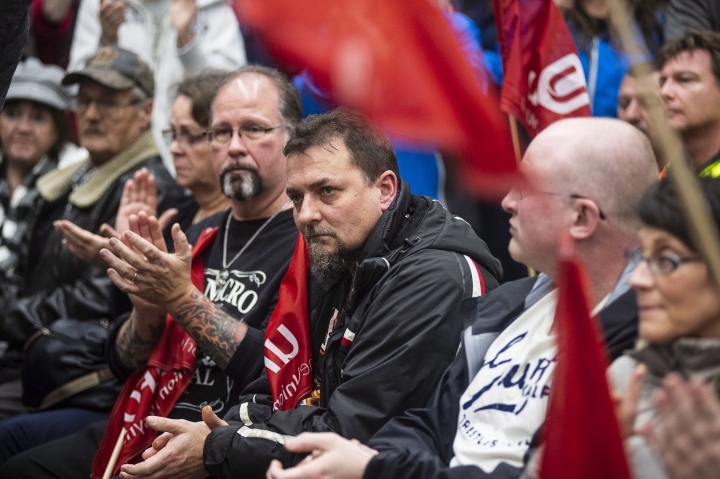 At the factories, around 3,300 blue-collar workers could lose jobs in the U.S. and another 2,600 in Canada, but some U.S. workers could transfer to truck or SUV factories that are increasing production. The cuts mark GM's first major downsizing since shedding thousands of jobs in the Great Recession. General Motors Co.'s pre-emptive strike to get leaner before the next downturn likely will be followed by Ford Motor Co., which has said it is restructuring and will lay off an unspecified number of white-collar workers. Toyota Motor Corp. also has discussed cutting costs, even though it's building a new assembly plant in Alabama. GM isn't the first to abandon much of the car market. Fiat Chrysler Automobiles got out of small and midsize cars two years ago, while Ford announced plans to shed all cars but the Mustang sports car in the U.S. in the coming years. 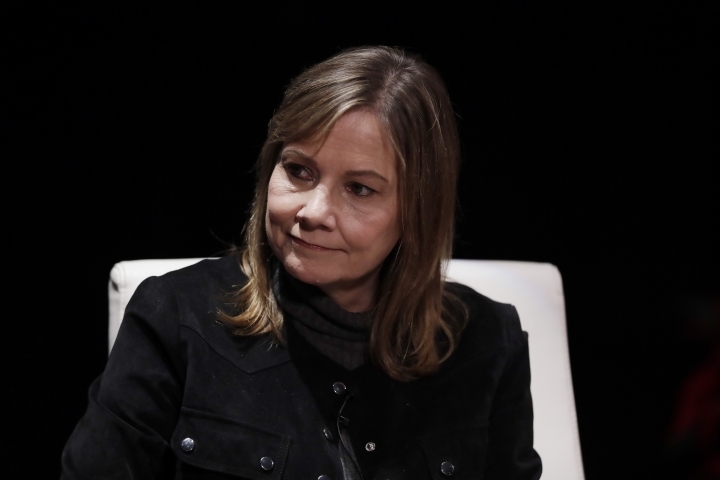 Barra told reporters that GM doesn't foresee an economic downturn and is making the cuts "to get in front of it while the company is strong and while the economy is strong." 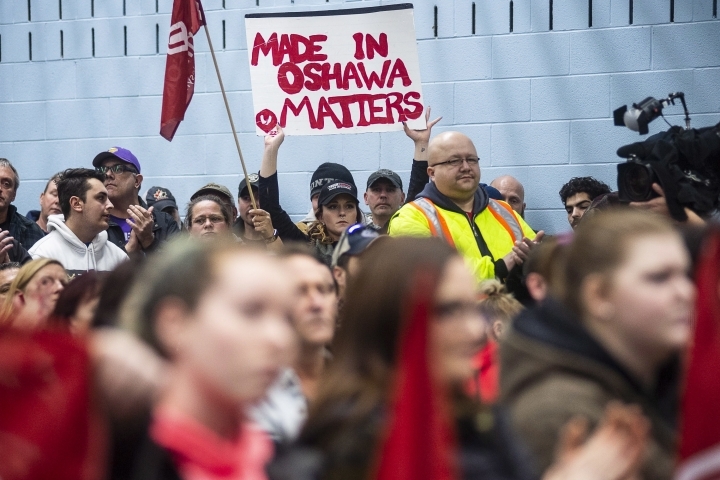 "I don't know how I'm going to feed my family," Matt Smith, a worker at the Ontario factory, said Monday outside the plant's south gate, where workers blocked trucks from entering or leaving. "It's hard. It's horrible." Smith's wife also works at the plant. The couple has an 11-month-old at home. 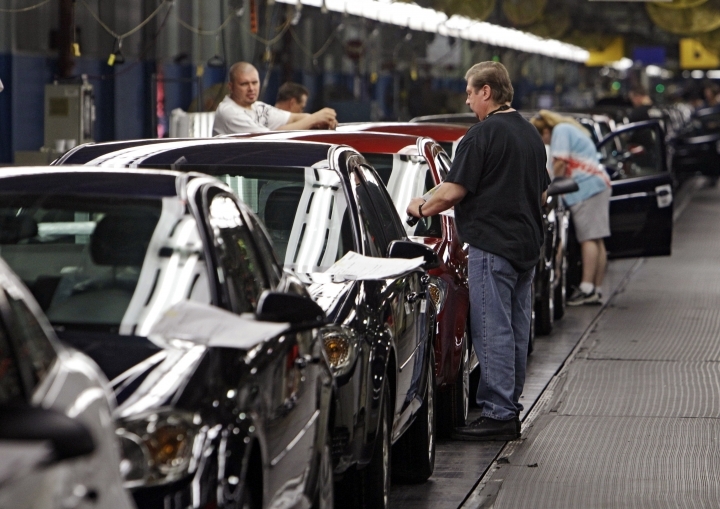 Most of the factories to be affected by GM's restructuring build cars that will not be sold in the U.S. after next year. They could close or they could get different vehicles to build. 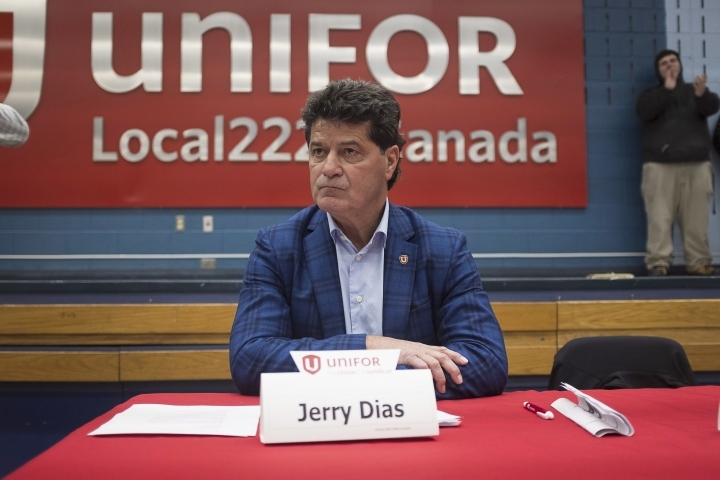 Their futures will be part of contract talks with the United Auto Workers union next year. 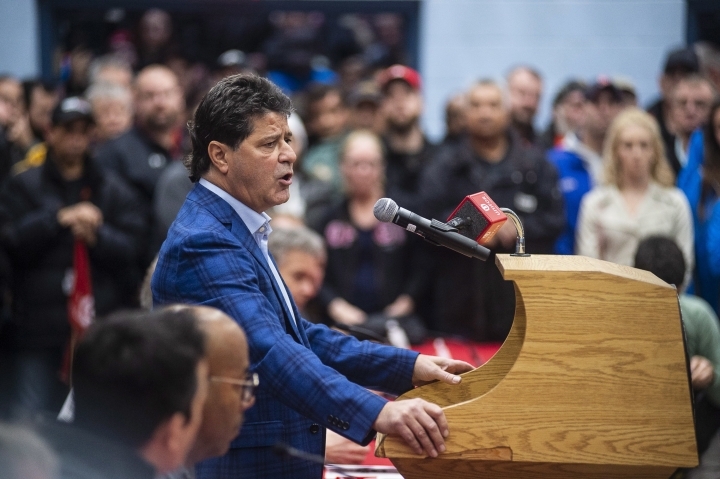 The Detroit-based union has already condemned GM's actions and threatened to fight them "through every legal, contractual and collective bargaining avenue open to our membership." 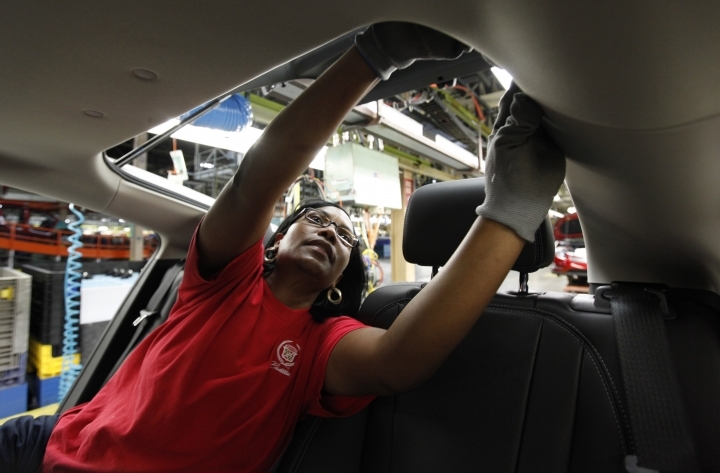 Bobbi Marsh, who has worked assembling the Chevrolet Cruze compact car at the Ohio plant since 2008, said she can't understand why the factory might close given the strong economy. "I can't believe our president would allow this to happen," she said Monday. She now faces an uncertain future, not knowing whether the plant will close for good or if there's a chance it could find another use. "Everything is up in the air," she said. "I don't want to give up hope for this facility and these people. I spend more time around them than my own family. It would be like breaking up a family." Democratic Sen. Sherrod Brown said the move will be disastrous for the region around Youngstown, Ohio, east of Cleveland, where GM is one of the area's few remaining industrial anchors. "GM received record tax breaks as a result of the GOP's tax bill last year, and has eliminated jobs instead of using that tax windfall to invest in American workers," he said in a statement.